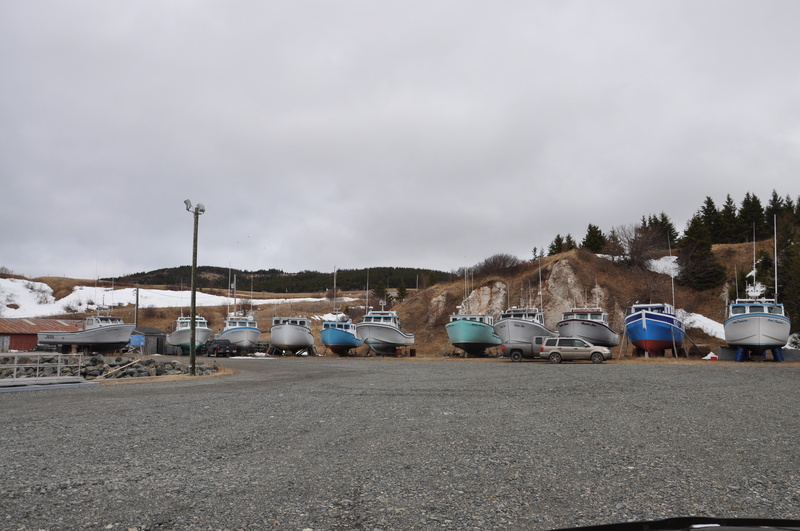 After a week on the road and visiting many places and speaking to many fisherman along the way I was now back in Inverness awaiting a meeting with a captain 25km south in Mabou I had been speaking with since January 2015, the deal was that if I made it here at least a week prior to the starting date of Lobster season that He would take me on his boat as his first mate for the season. Ive kept in contact with him over the months so as to make sure he knows I have not lost interest I checked in with him along my journey out east. I texted his phone this morning in the hope of meeting with him for a coffee, no answer, & No problem so I headed to Mabour Harbour maybe he was around getting things ready. As I arrived into Mabou Harbour I came across a young guy working on his traps I stopped and asked him if he knew A Captain Jody? He nodded and said “ eye!” Perfect I said would you happen to know where I can find him? And the young man replied are you his helper from Ontario? A stunned look on my face and I said yes sir im trying to be LOL. 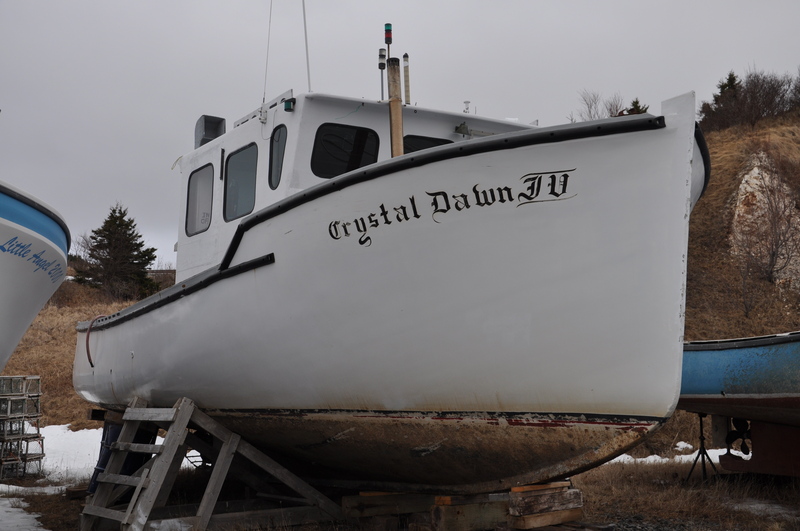 The young guy took me around the harbour introducing me to a few of the fisherman and showing me where Captain Jody keeps his traps and then I he took me to have a look at the boat I may be working on for the spring. Now I had been travelling to many places over the last week and visited many harbours and seen many lobster boats, now this as far as boats that are strictly lobster fishing vessles go was HUGE. Not as large as the boats in Advocate harbour or the crab boats in Louisbourg NS. But for a Lobster only vessel it was maybe the biggest one ive seen so far. I thanked the young guy and was on my way back to Inverness. I’d have to meet the captain another day. While I was on my way back to inverness I get a text from Capt Jody’s wife Crystal, asking if I would like to meet up with him for dinner at The Mull restaurant back in Mabou around 6pm. I happily agreed and went home to freshen up (ish). 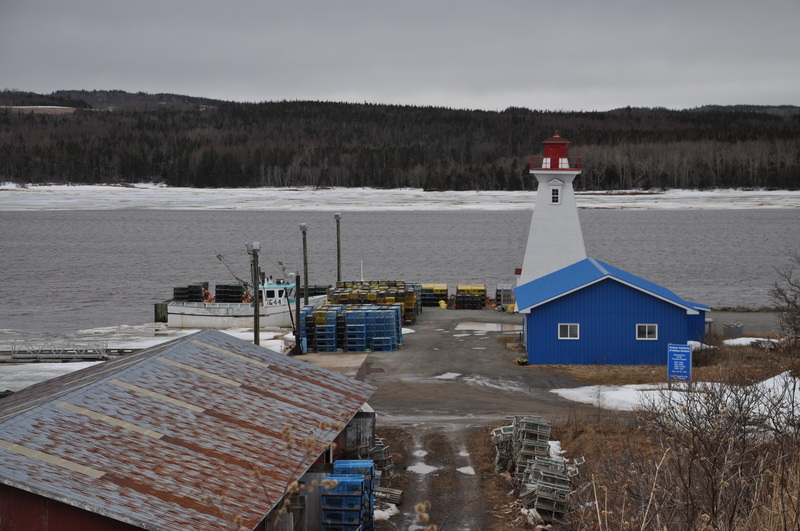 At 6pm I was back in Mabou for the long anticipated meeting of my new boss for the spring. I had thoughts of what kind of an impression I should make, for those of you that know me at first glance I can be a sight for sore eyes at times, Im a large individual a little rough around the edges so to speak lol so I had thoughts of trying to quickly find a rough looking fella preferably drunk & homeless, with no teeth. Id pay him $20 to walk into the restaurant and find captain Jody and introduce himself as me. The plan would be to stand back and watch the look on the captains face drop in horror to what he had just committed to working with, then I would come in and shew the dirty dude away and he’d have no choice but to look at me in relief ha ha ha, but a quick look around and no one like that in sight, looks like I’m it. If this had been Toronto the plan could have worked flawlessly, well accept most of the drunk homeless people wear designer clothing and live in better housing than I do lol. As I walked into the restaurant I was greeted by a guy a bit shorter than me, clean (ish) shaven, with small round glasses and about as wide as I am, if I had shaved and wore glasses I could have been looking in the mirror. Jody I asked he shook my hand we sat down and I know we were both looking each other up and down trying to size each other out lol, we had a great conversation over supper exchanging fishing tales from over the years. Captain Jody told me what to expect out there this season, I asked The Capt if he needs help with his traps he said I didn’t need to but if I was board hed appreciate the help, well I’m here to work and otherwise I’m not doing anything so I’d be more than happy to lend a hand. Capt Jody told me he would be on the dock 9am Friday morning, “ill be there” I said. Capt paid for supper and we parted ways back to inverness as the newest lobster fisherman in zone 26B. As I got back to the trailer it was night fall, now the first few days on the island was gorgeous with sunny skies, and plus temperatures. It has been cold over night but at least the day time has been great. its now the 24th of April and the past couple days have been miserable, raining, overcast, negative temperatures, and crazy winds. Normally this kind of weather wouldn’t bother anyone, but I myself am still located in a public parking lot in Inverness. This means I have no power, or water hook ups to the trailer, also the little propane heater I brought with me has been giving me problems it only stays on for 20 minutes and then blows out for some reason, so I find myself curled up in bed under covers in the fetal position to keep warm, my face quite cold, no TV ha ha ha , and the worst part is no water to flush the toilet, so I will leave your minds to as what I have been doing (but it involves a grocery bag), if I need to go over night. The other issue now is finding a place to shower. I thought I found the solution the other day where I could just go to a motel and pay to use the shower, however the town had a major water break in the towns pipes which cut the water supply, it has now been a 3 day goal to have a shower lol, this actually has been quite the problem in town as the only hospital around the area is without water. Oh did I mention with the high winds of up to 100km directly hitting the trailer it feels like riding the Toronto TTC subway, well that’s it for this blog off to work with the captain fixing broken traps. Feel free to leave a comment and remember to LIKE and SHARE if you like my adventure stories.